This week we've nailed pinball designer and fellow blogger Dwight Sullivan to be one of our Pinball Heroes. The Pinball Blog. So you're Dwight Sullivan. You've designed some great pinball machines over the years and written the software for others (I guess you knew that). Can you tell us which machine you are most proud of and why. 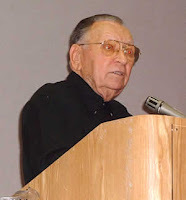 Dwight Sullivan. 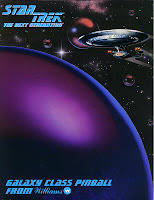 It has been no secret that I am most proud of Star Trek: The Next Generation. It was an excellent project from start to finish. Real quick here are the reasons it was great for me: Great team; you cant make a great game without a great team, I am huge sci-fi fan and a fan of Star Trek since I was 5, We got to go out to Paramount and see the Enterprise up close, I got Married during the project, Steve and I got fired during the project, I think the final game is lots of fun and we captured the theme extremely well. TPB. 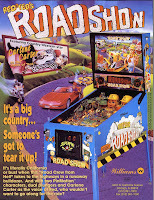 You've written some fascinating stuff with a nice turn of phrase about pinball on your blog. Have you always had a passion for the written word, or was it your accumulating life experiences that you thought perhaps needed to be shared? DS. I have and both. As I got older I realized that two things were happening. My brain was filling up and my capacity was shrinking. So I found a need to write things down just to help me remember them. Not really to share but I don’t mind if others read it. Also since I was little I have enjoyed making up stories but like MANY of my hobbies I have never really given writing the proper amount of time to become good at it. TPB. On a licensed pinball machine, how much influence does the license holder have over the design? Are they able to insist on certain elements or do you share the progress as you go and hope they like it? DS. Early in the discussions with the licensor, after its clear that both parties are interested, we show them a playfield drawing and explain to them what we want to do. This is when they will typically make suggestion about design aspects. After the licensor only sees our art and speech progress as we develop the game. We show them our dot-matrix animations, playfield art, speech scripts, then the recorded speech, backglass art, plastics art, and cabinet art. All as soon as we can. They always get to see the final package before production but I don’t remember them stopping the production. That would be devastating to us so we make sure that isn’t going to happen. TPB. Meeting which person would you say has been the highlight of your time in pinball? DS. I have met quite a few people; celebrities both inside the industry and out. But the question is easy to answer; Steve Kordek is the man I am most glad to have met. TPB. In 5 years time some say there'll be no pinball, others say it'll still be here, just different (we hope so!). But what about in 30 years when all the current collectors are old and grey, and there's not a huge generation of new players to collect the things? DS. Wow thirty years?!? Who could answer that? TPB. Do you have any machines at home and do your family play? DS. I have several machines at home: Revenge from Mars, High Speed, Road Show, Terminator 2, WHO dunnit, Star Trek: The next Generation. My kids and their friends play them often. TPB. If you hadn't been involved in pinball, any idea what you'd be doing today? TPB. Do you look forward to expo and all those questions (a bit like these! ), and how often do you have to plead the 5th to something posed from visitors? DS. My favorite part of Expo is giving the tour at the factory. Sadly I will not get to do that anymore. I never minded all the fans and their questions. I actually like talking to outsiders because it really helps ground the design process in reality. Adds perspective and helps prioritize the real issues. TPB. Other than Pinball & writing, what makes Dwight Sullivan tick? DS. I am a family man first; I love my wife and Kids and to do things with them. Beyond that I love games next. All types of games. One of my many hobbies is designing board games. TPB. Finally, can you sum up pinball (or your time involved with it) in one word or sentence. DS. Pinball has been a large part of my life, I often measured time by what game I was working on when this happened or that. Many thanks to Dwight Sullivan for taking the time to answer our questions. More Pinball Heroes coming soon.